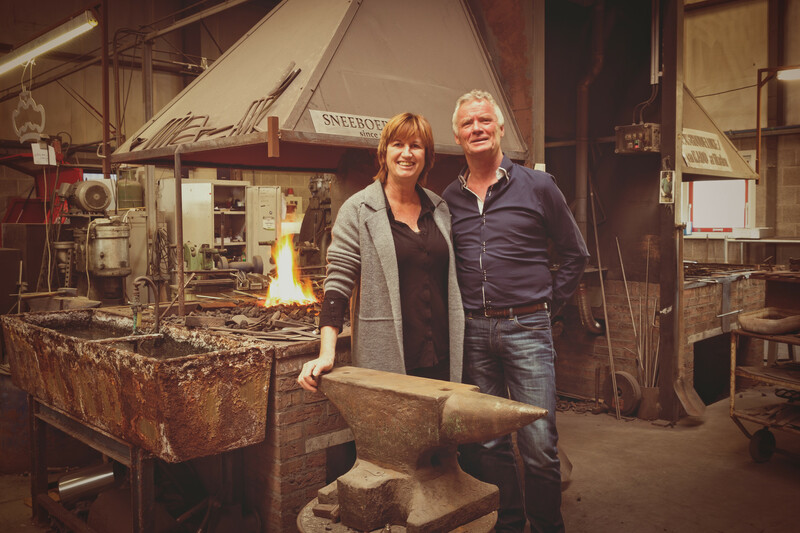 Jaap Sneeboer and Wilma Peelen, are the driven owners of Sneeboer Manufacturing. The team, mainly composed of family members are internationally renowned by its highest quality, stainless-steel, hand-forged garden tools enjoyed by discerning gardeners. Skilled master craftsmen use traditional hand-forging techniques to transform new ideas into reality, new markets and modern methods are continually investigated and evaluated. The 4th generation is now prepared to take over the company following the words of Arie Sneeboer who founded the company in 1913: "I know how to improve. " Another famous quote he used to say is: "One who once has held a Sneeboer tool in his hands never wants anything else."